Still 3 evenings to go before the end of my first year of this cooking course. Times flies, if you have fun, you know. It’s too early for a round-up of the last year. That’s for in four weeks. Back to yesterday. It was again a windy and rainy day in Belgium. Luckily, I had my cooking course evening to pass the time and to exercise my cooking skills. OK, what did we prepare? 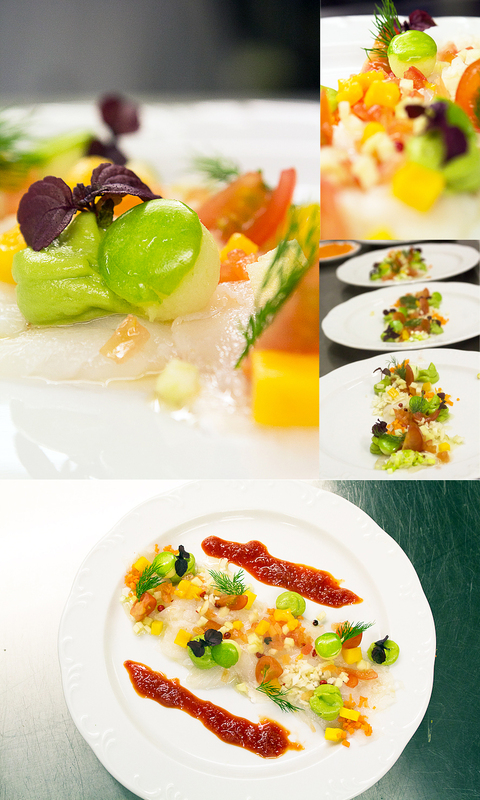 The second starter, perfect to serve as a main dish was a typical Belgian dish. 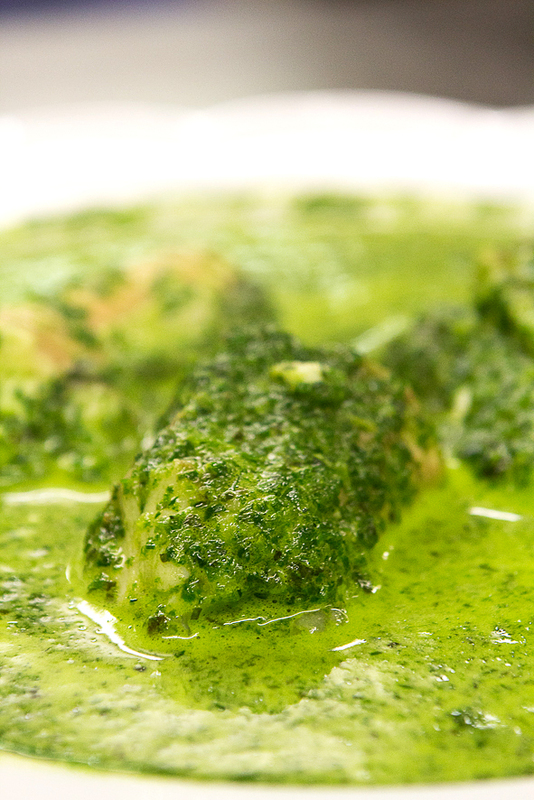 Italy has their pizza, England has their fish and chips, we have Eel in green (sauce). Believe it or not, but it was the first time I ate it. It’s again a lot of work to make, but I really liked it. On the picture it maybe doesn’t look so tasteful, but that’s not right at all. 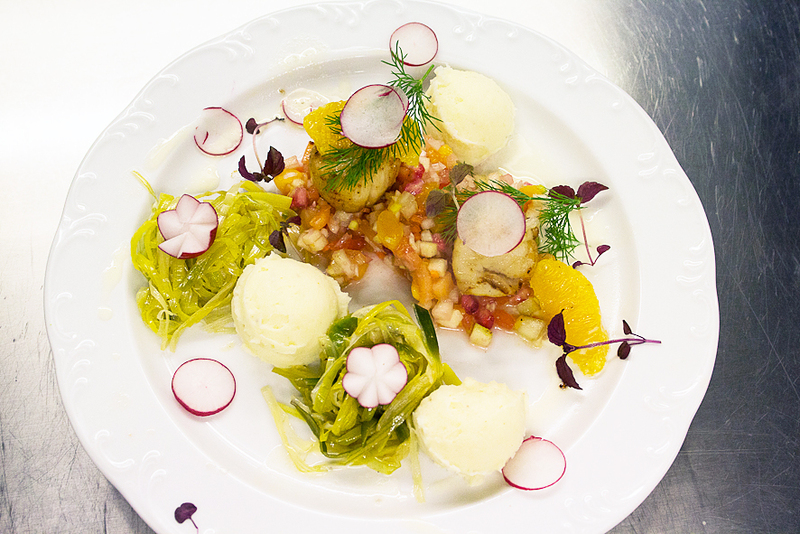 After two starters, it was time for the main dish: scallops with oranges, leek, a melon and pomegranate salsa, mashed potatoes with cream cheese and radishes. This dish is again a lot of work to prepare and to decorate, but it looks really beautiful and it’s not so difficult to make. I liked it…again. Conclusion: 3-0 for Spermalie. 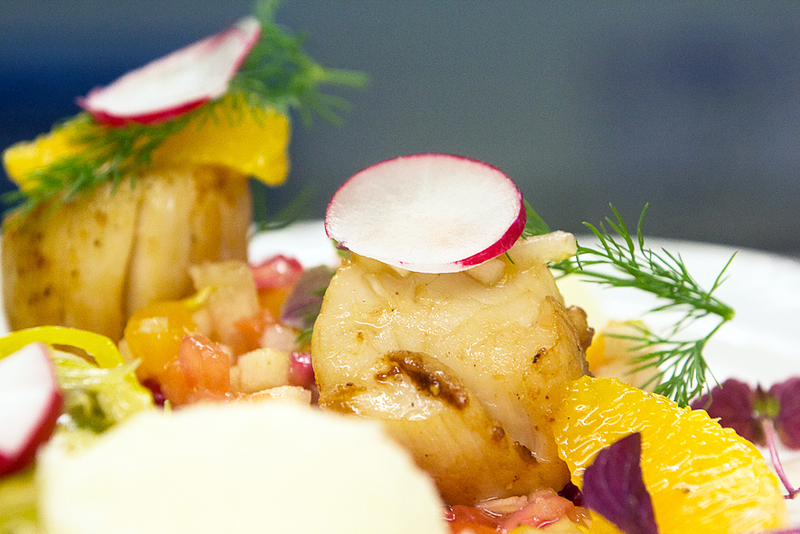 The new chef, Kurt Vandewalle, knows how to make an easy dish that looks amazing. He joined us unfortunately only at the end of the year, but I’m looking forward to our last two courses with him.